A few years ago, Kodak started making unremarkable smartphones, because that’s what happens when film is dead and your once-revered company basically just licenses its name out other places. 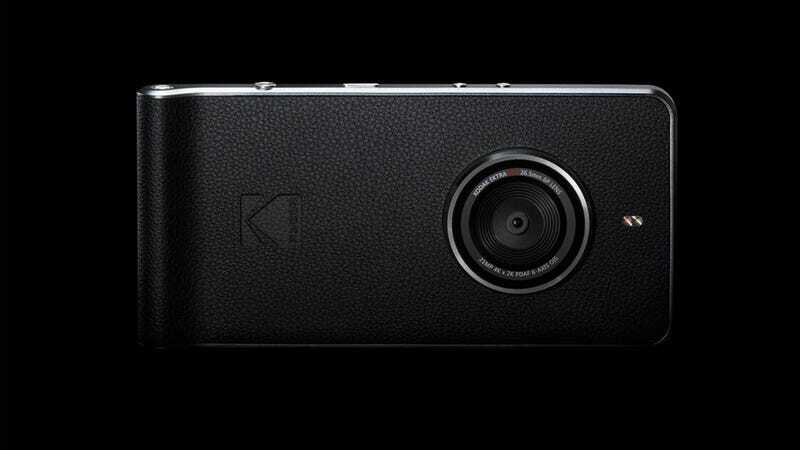 Now Kodak has a new smartphone with an old name: the Ektra. Designed to look like a classic pocket camera (the original Kodak Ektra from the 1940s was a rangefinder), this Android 6.0-running smartphone is targeted at the type of consumer who thinks Kodak ever made good photography equipment (spoiler, it didn’t). It also has a massive camera bump. But it’s what’s inside the phone that makes this even more pathetic. A Mediatek processor, 3GB of RAM and a 21-megapixel, and “fast-focus camera sensor,” not to mention a “textured” finish that looks like leather (but is probably just some sort of plastic), this things screams cheap. The Ektra also comes bundled with Snapseed and a “Super 8 Video Recorder,” which I guess is cool. It’s also selling for £449 ($550) and will be available across Europe later this year.